/ NEWS - stevebrians Webseite! 19/08/2017 Above & Beyond's Group Therapy Radio ( #ABGT245 ) incl. 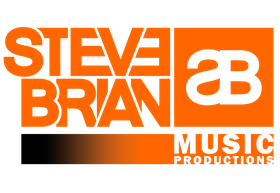 a Steve Brian guest mix. Follow the link to listen to the mix. 05/08/2017 Last week Armin van Buuren played my new track "Angola" in his "A State of Trance" (ASOT824) radio show. 04/08/2017 "Angola" is out now on Beatport. Grab your copy now. Already supported by Armin van Buuren, Above & Beyond, Andy Moor + more. 31/07/2017 "Viper" is out now on Beatport via Euphonic Records. We got three times radio support from Aove & Beyond, Kyau & Albert + more. 26/06/2017 The new Cabriolet Paris single w/ Reeco called "Tanzania" is out now on the swiss leading dance label "Sirup Music". Tanzania is featured on the current Urban Dance Vol. 21 compilation - Warner Music, Germany. 10/06/2017 Coldplay - Yellow (Steve Brian & Oudai Abdulhadi Bootleg) live @ A State of Trance 700 - Mumbai, India.